I often get asked to "reveal" more of the notes in my perfumes. When this query is presented I wonder what exactly is being asked. For example is it the fragrance notes or the ingredients that the enquirer is interested in? If it is the fragrance notes then I ask them, "Well, what fragrance notes are you perceiving?" After all, perception is an act of creation. Each persons perception will be different based on their life experience. Who am "I" to tell "you" what to smell? I use accords/chords in perfumery formulation. These have been created in advance. Each accord has at least six different ingredients. Some accords have several accords within them, my Leather accord is the most complex containing about three accords within that one accord. 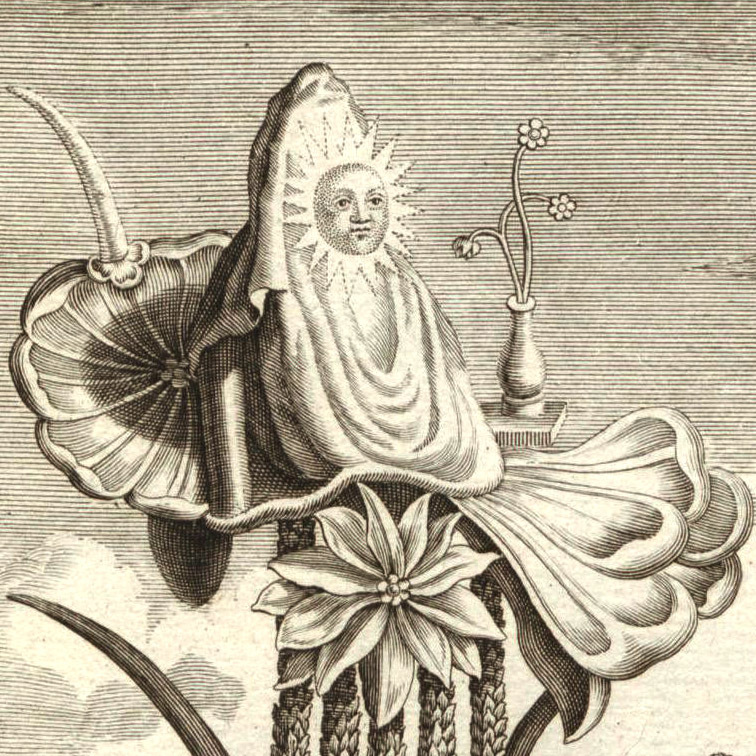 Perfumers, like artists, have different modes of working. Some perfumes have simple formulas with three top notes, three middle notes and three base notes. This is the system that Mandy Aftel taught back in April of 2002 when she was here at my home facilitating a Natural Perfumery Workshop to a small group. Even further back when I studied with John Steele he had us creating perfumes with a few simple notes including a methodology similar to the top, middle and base approach. The formulas in my perfumes are extremely complex. Rosa liquid perfume has four different accords contained within her, Sierra liquid also has many accords. Even Sierra Solid Gold has a few of the same multiple accords as her liquid counterpart as well as an infused oil accord made with the intention of prosperity. Each Illuminated Perfume has at the very least one accord. Organic Grape Spirits and Organic Grain Alcohol distilled in Oregon, both beverage grade. Essential Oils, Absolutes, Concretes and C02 extracts primarily from plant matter. 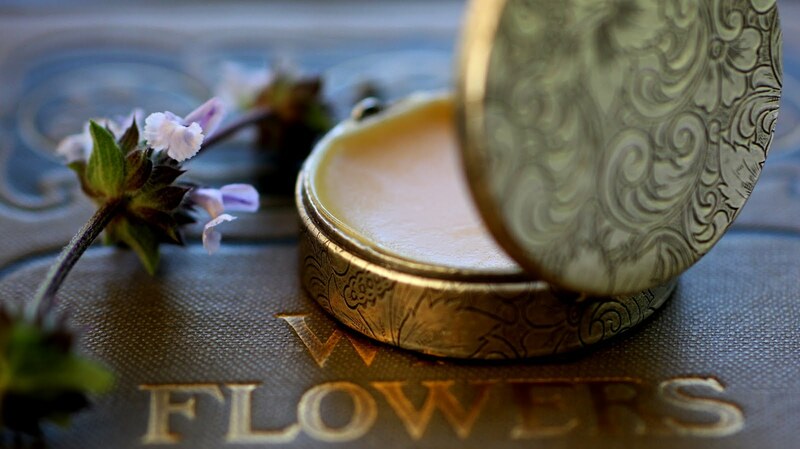 The only essences that are not from plants are: Beeswax, Honey, Seashells and Seaweed. GreenWitch contains a very small amount of Africa Stone, which is the fossilized excrement of a small mammal in Africa. I utilize "whole" essences in keeping with the concept of Gaia and Holistic Aromatherapy. Organic, unfiltered Beeswax, from local sources including bees I am tending. Plant infusions and tinctures, some from my own native plants. No animal ingredients (except for a tad of Africa stone), nor do I test on animals. No isolates, as stated above I only use "whole" essence. 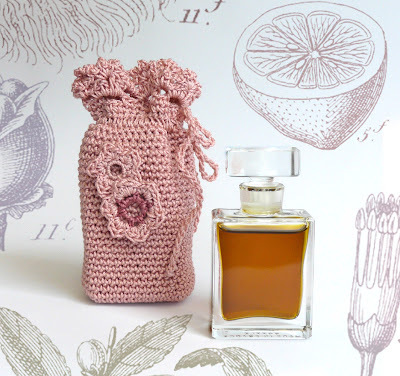 A definition of what botanical perfume is can be read here at this journal by following this link: Botanical Perfume: A Comprehensive Definition. Then there is this asking of well which ingredients exactly? When I list woods the most common in my palette are Cypress, Cedarwood and Sandalwood. I have a vintage Mysore Sandalwood, Santalum album, from an old growth tree that due to age fell down. I also have some of the distillations from other parts of the world. With Cedarwood or Cypress there are many different types of each and depending on the botanical name, where the plant material originates and is distilled there will be variations in the aromatic profile. For example with Cypress you have the standard as well as an emerald, a jade, a blue and an absolute, each will impart different "notes" to the perfume. So then the question becomes, well which one exactly. That answer gets into propriety information and I will not venture into that territory. My Wood accord has a variety of each of the ones listed above as well as other woods. This can be even more complex if you take into account that there are some woods that do not have a distinctive "woody" note to them. Some of my accords are vertical, some horizontal and some can be considered complete perfumes onto themselves. This was noted by Andy Tauer when he was here at the studio last year. I had him sniff several of my Floral accords which made him comment that some were perfumes onto themselves and that Vero Kern works in a similar manner. Andy uses the term bases for what I call accords/chords, where as a base for me can mean the carrier as an oil or alcohol or a base note. There are instances where an infusion, tincture or wax is utilized this imparting a note that is not from the essential oils, absolutes, c02 extracts or concretes. Now you are wondering how this question became so complicated when you just wanted a simple answer. Regrettably, as you can see the answer is not simple unless you look at my very early formulas when I was taking the leap from Aromatherapy into Natural Perfume. Here is an example of a simple formula I made in the 1990's at a class in Malibu with John Steele: Spikenard, Patchouli, Vanilla, Jasmine, Elemi, Nutmeg and Grapefruit. 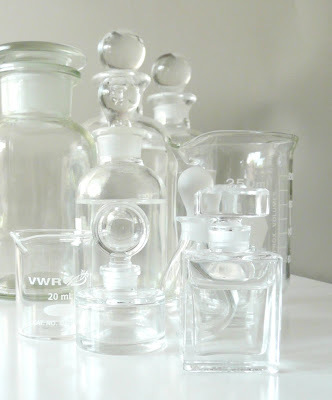 Vespertina™ liquid perfume is a good example of how there is a specific fragrance note that is not an ingredient. Although there is no Orange Blossom in the perfume it is repeatedly cited as the main fragrance note. In fact, just recently on the Fragranticia blog, Michelyn Camen stated "Roxana Villa’s intoxicating orange blossom and floral Vespertina perfume..."
To list every single ingredient in each of my perfumes would be daunting and provide no meaningful information. The more important questions are: Do you like the fragrance? How does it make you feel? What memories are being stirred for you? Keep in mind that the perfumes I formulate are created from whole, vital plant essences used in therapeutic aromatherapy. So the question of "How does it make you feel?" is very relevant. The big main stream perfume houses decided to use synthetic aroma chemicals created in a lab so that they need not deal with the variety and the dynamic shifts in nature. 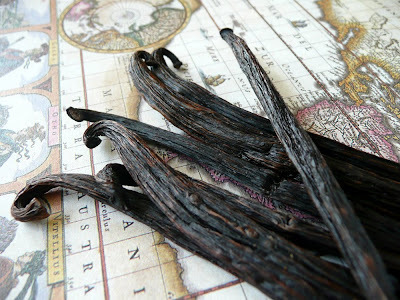 To supply aromas to the masses for the multitude of fragrance products the synthetic route was chosen since it is predicable and allows for a much larger profit margin. Generally when you see the words Rose and Jasmine in most perfumes it is an aroma chemical that is attempting to recreate the aroma of the essential oil or absolute, some of the most expensive raw materials in perfume. 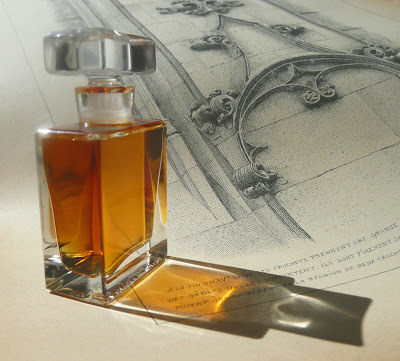 Getting back on track here with authenticity and the notes in my perfumes I have created a list to make things a bit easier for those craving more in depth notations into each of my perfumes. Indeed, I do not reveal all my actual ingredients. It's the mind that wants the list of ingredients, it's the heart and soul that devours the fragrance. I invite you to let go of the mind and journey to that sensuous and vibrant Garden of Eden. in a base of beverage grade, organic grain and grape alcohol. Amber Accord, Jasmine, Rose, Spice and Mandarin. 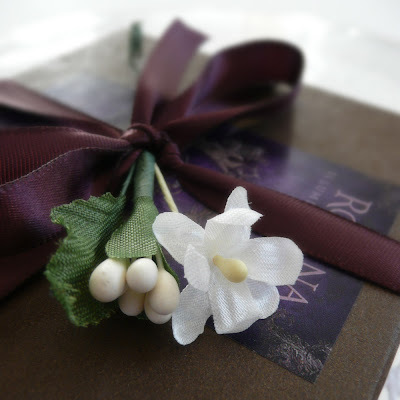 Read Divina's review at the Fragrance Bouquet here. A portion of the proceeds from the 7 gram flacon supports the California Oak Foundation. Frankincense, Wood Accord, Sage, Bay. Wood, Resin, Conifer, Citrus and tinctures including sustainably harvested Redwood bark. This perfume contains a total of three accords with accordds within those accords. Lucy of Indie Perfume on both Rosa and Sierra. Lavender, Orange blossom, Hay, Honey. More about Rosa here at the journal. 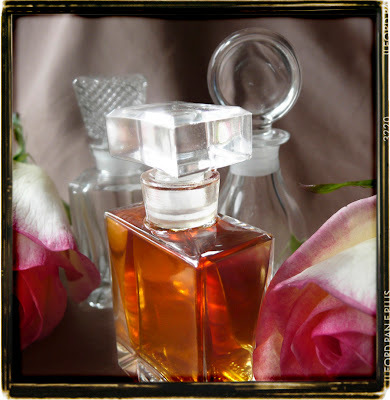 Info here at the journal with links to Scent impressions from the blogging community. In 2010 expect GreenWitch and the debut Cimbalom and Page 47 as liquids..and a few other surprises. in a base of unrefined beeswax, golden jojoba oil and infused oils. Amber Accord, Jasmine, Ylang Ylang and Citrus. Resin, Wood Accord, Italian Bergamot, infused Coastal Live Oak leaves. 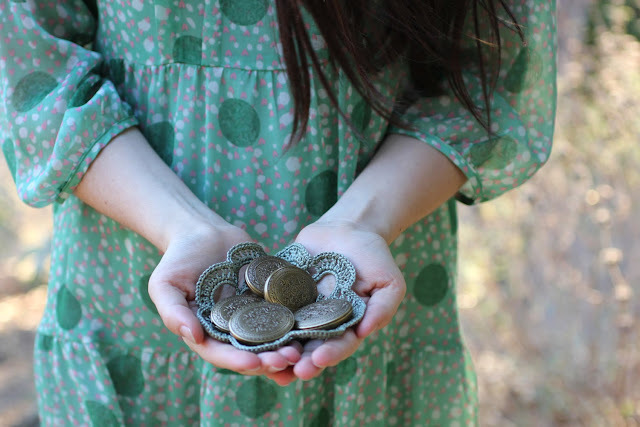 A portion of the proceeds from the solid perfume compact supports the California Oak Foundation. Frankincense, Wood, Sage and Bay, tinctured Coastal Live Oak leaves, wood and sage. Frankincense, Myrrh, Wood, Conifer, Rosemary, Spice and Citrus. Ingredients include: Frankincense, Myrrh, Cedarwood and a Prosperity infusion. Read more about Sierra Solid Gold at this link and a link contained here at the journal. Praise for Sierra Solid Gold at The Frisky. Precious Woods, Resin, Rose and Citrus. 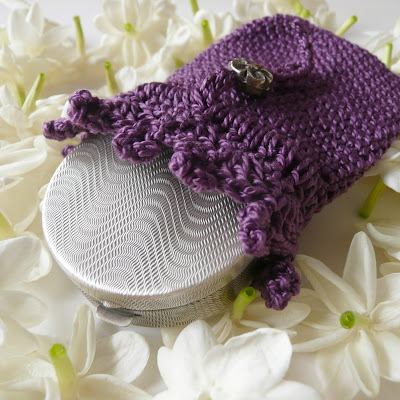 Read Beth's piece at Perfume Smellin' Things about the fragrance and it's inspiration. Three separate accords including essences from each continent, included are Vintage Mysore Sandalwood, Tobacco, Vanilla Orchid Bean, Champa, Blue Lotus, Clementine, Ginger and Neroli. In 2010 Vera and Rosa will debut as creamy solid unguents and more from the Chocolate series. I am also developing Body Butters and a few other scented delights. Roxana, what a fascinating post! You answered all of the questions I asked in spirit as well as material. It will add a lot to my understanding and reviewing your scents in the blog I will start this week and most likely post on the weekend. Thanks a million and happy new year! Hello ladies, how splendid to have you both here at the same time. I think we should have a tea party. Do you like Earl Grey? I'm so happy this post is helpful. It occurred to me later today that I may have a few more bits and pieces to stitch in here and there. Thank you Wendy for asking such great questions so that this could manifest! Thank you for such a treat - a guided tour through the structure of your fragrances. Very interesting and a pleasure to read. Aromax, Welcome, a very happy new year to you dear friend! Germaine Cellier is a new name to me, it will be a pleasure to do some research and learn about her. I'm so happy to read this guide is helpful to you. Thank you, Roxana and of course Happy New Year to you too! I hope it will be a year full of creativity, wisdom, nice contacts and prosperity.